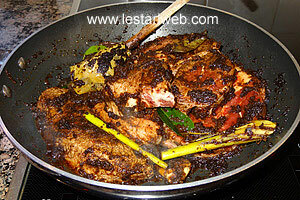 Here it is a specialty dish from Makassar: Soup Konro. 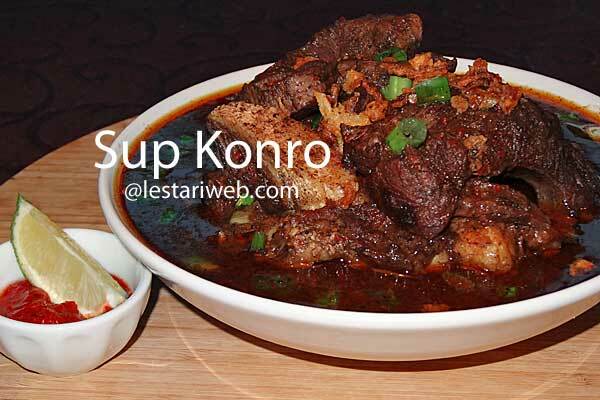 At a quick glance, Sup Konro looks like Rawon from East Java, especially from the color. 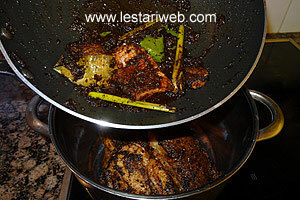 That's because both dishes contains the same ingredient which have caused the black colour. It is from Keluak Nuts which gives the character of this soup. But I assure you the taste is not so bleak as it's colour may suggest!!! On the contrary .. Sop Konro is a complete blend of flavors, a perfect combination from varied spices & herbs that you might have in one recipe. Note : For many European countries, includes Germany it is quite difficult to find long bone beef-ribs in the markt. Most available is pork rib. If you encounter the same problem, then look for small cut beef rib. If this sort is also not available then replace with other part of other boned-beef slices. 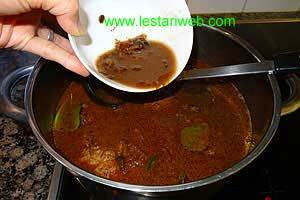 The spice of this soup tastes really delicious it doesn't matter which part of beef/meat you use. Cut or separate beef ribs into a serving portions. Wash & set aside to drain. 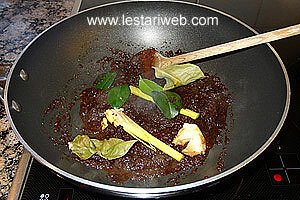 Heat 3 tbsp oil in a wok or large fryingpan. (Don't add oil if already added in a blender). 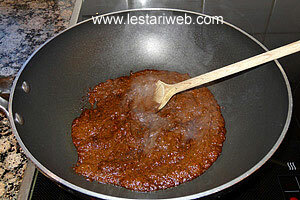 Stir-fry the paste over medium heat until well cooked & fragrant (takes about 5-7 minutes). 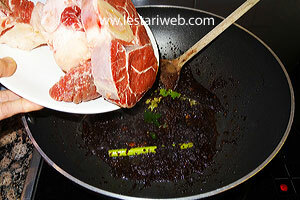 Add the beef ribs, stir fry until the beef becomes harder & the color have changed to white. 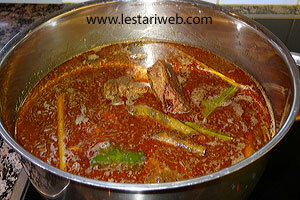 Transfer the beef ribs & all the spices into a large/deep saucepan. 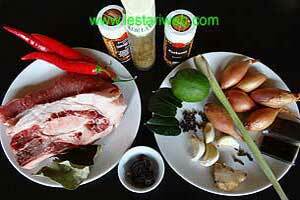 Add 3 liter hot water *** & tamarind juice. Stir to mix. 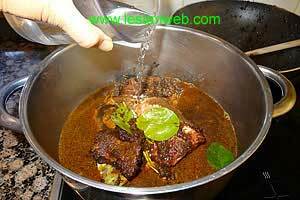 *** Add boiled water into the beef ribs then cook on the medium heat to preserve it's best taste. Adjust the heat into medium-high, bring to boil & let it cook for 30 minutes. Cover the pan, adjust the heat into medium & simmer for 1 hour until the beef ribs become really tender. Stir occasionally. 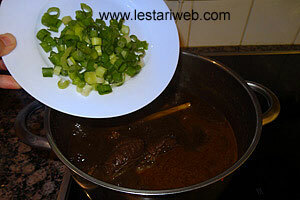 When the beef is already tender, add the sliced spring onion. Adjust the seasoning accordingly. Add salt & sugar to taste. Serve hot by preparing the soup in an individual serving dish, garnish with fried shallots, lime juice & sambal (if preferred).